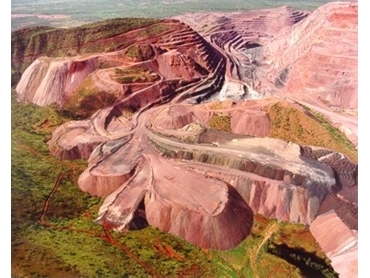 Rio Tinto has axed 78 contractors from its Argyle diamond mine located in the Kimberley, not even a month since the company announced it would not be pursuing the potential divestment of the asset. The workers which were employed by contractor Macmahon, were sacked as pressure mounts on Rio to reduce its operating costs. The West Australian reports a Rio Tinto spokesperson said the decision was a "continuation of our approach to focus on costs, drive for improved efficiencies and transition to a fully underground mining operation". "Like others in the mining industry, we are looking to reduce costs in the business,” the Rio spokesperson said. “Seventy-eight contractors from one of our underground contracting companies have been advised that their services on the Argyle underground project are no longer required. Macmahon said its Argyle contract is still in place. Rio initially announced it was looking to get out of the diamond sector late last year as part of a wider 'strategic review' of its business but three weeks ago Rio said it is in shareholders best interests if the miner holds onto the operation. The expansion of Argyle’s underground is now in a production phase, and Rio announced last week it had achieved a 57 per cent increase in June production compared to the same time last year. Quarter two saw carats recovered at Argyle jump 87 per cent higher than the second quarter of 2012, producing diamonds totalling 3.1 million carats, a reflection of the higher grade tonnes processed from the mine’s new underground which was commissioned in April 2013. Earlier this year the company slashed 350 construction jobs at the mine, following a move in September, five months earlier, to reduce the workforce number by a fifth letting 80 workers go.